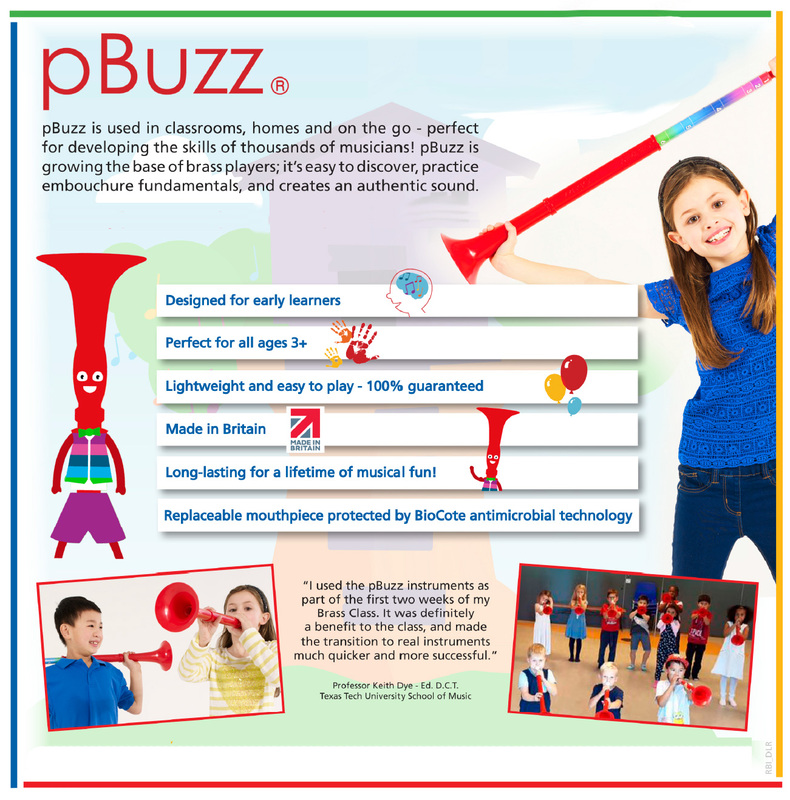 The pBuzz is a one piece slide horn with a trombone style mouthpiece (included). It is used in classrooms, homes and on the go and has been used to help develop the skills of thousands of young musicians. 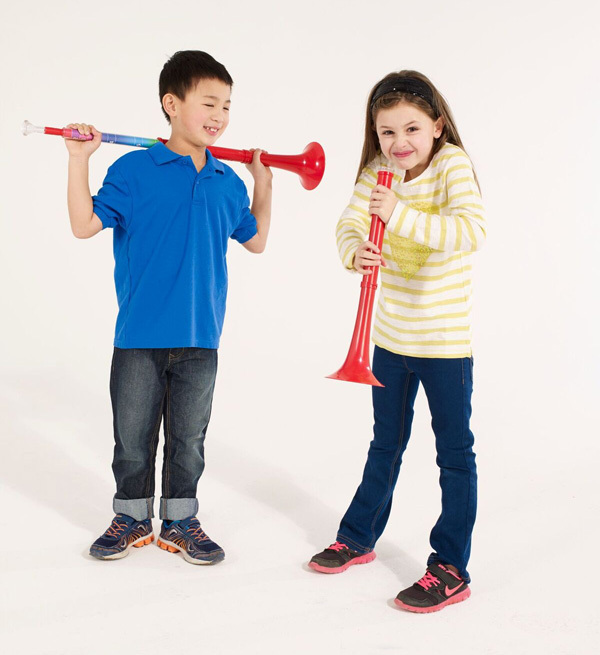 It's easy to discover, practice embouchure fundamentals, and creates an authentic sound. • Eight note basic range. plus some overtones. • Basic range is middle C down to F, 4th line bass staff. • Numbered slide with color coding. • Color coding compatible with Orff system instruments. 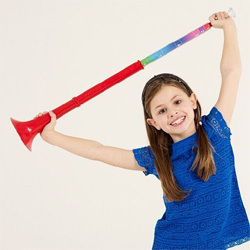 • Plastic trombone mouthpiece included. 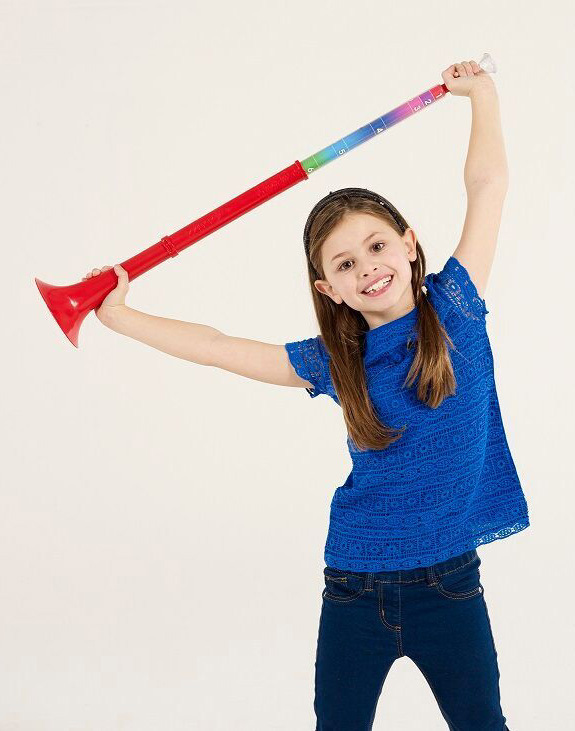 • Can also use any traditional small-shank trombone mouthpiece.